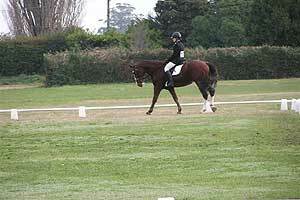 Blue Springs Riding Centre is located at Bramleys Raod in Rangiora at Blue Springs Polo School and Equestion School in North Canterbury. The riding centre caters to all riding skill levels, ages and group sizes, with experienced instructors and professional facilities to assist in all aspects of horse riding, including showjumping, dressage, cross country or forest trekking. Lessons can be private or as part of a group and are generally taught on an hourly basis in our all weather outdoor arena using our well-schooled horses and ponies. 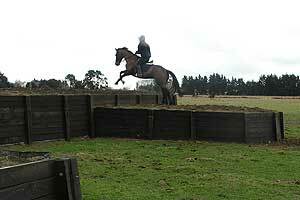 Our starter lessons are popular with beginner children and adults. During this time we use quiet, experienced horses and ponies to help riders learn basic control at walk before progressing to the rising trot. Developing a rider’s balance is also taught with the use of ground poles, which is also a fun way to learn the jumping position. Our starters lessons are designed to help beginner riders of all ages learn the correct basic riding skills while building confidence in a safe, fun environment. We regularly teach at all levels, from complete beginners to serious competition riders and can design a personalised training program to suit each rider’s ability and goals. 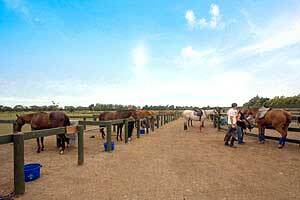 Blue Springs Riding Centre specialises in helping adults coming back into riding that are experiencing confidence issues. 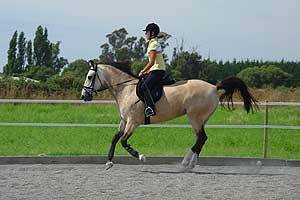 From novice to advance riders, we have a range of quality horses and ponies to suit all capabilities. Well schooled and sensitive, our horses are not boring to ride and have the experience and temperament to help build a rider’s confidence and ability. From showjumping to dressage, to cross-country or hunting, whatever level of competition, we have a suitable horse for you. Dedicated to providing clients with suitably matched horses and ponies to suit their experience and capabilities, we help each rider to develop their riding skills and techniques in a safe, professional and fun environment. Leasing of our horses is also available by prior agreement to pre-approved homes and we also have limited space available for equine Agistment at Blue Springs Riding Centre.